This was an interesting journey into the crooked world of politics. LynDee Walker did a really good job writing about corruption in the political world. Nichelle is a dogged reporter, who loves great shoes, who doesn't give up on the "story of a lifetime" even after she is threatened. 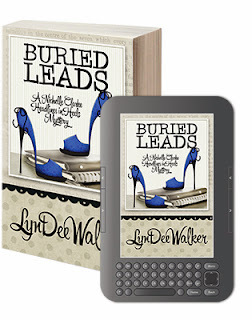 This is the first book I have read by LynDee and I was very impressed. This is a fast paced book that kept my attention throughout. 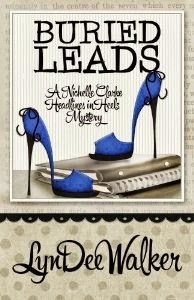 Great job LynDee, I look forward to more and I plan to read the first in Headlines in High Heels series. Since I can remember. I know that sounds cliche, but my mother swore I read my first book when I was three, and I started writing little stories of my own before Kindergarten. 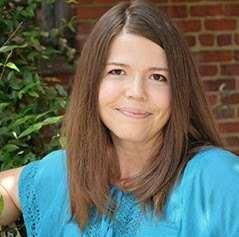 I was a journalist for almost a decade, and have been writing fiction for four years. 2. What or who are your influences? People who have encouraged or inspired me to write are many, from wonderful teachers to folks I met while I was reporting who had great stories to tell. My mom was my biggest influence in everything, including pursuing fiction writing seriously. She believed I could do it enough for both of us. As far as other writers go, I think my influences come from what I like to read, which is a rather eclectic mix. My favorites include Laura Levine, Harley Jane Kozak, Joshilyn Jackson, Hank Phillipi Ryan, Stephen King, Sarah Addison Allen, Agatha Christie, and Christopher Pike. To name a few. I’m a book nerd. 3. Where did you get the idea for this series Headlines in High Heels? It grew out of a single scene in the middle of the first book. I was sick, dozing off and on in the middle of the day (and if you’ve ever been a mom with two small children, you know how bad I felt by the fact that I was lying down). This sassy reporter in fabulous, impractical shoes popped into my head. She was in quite a tight spot, and when the idea wouldn’t go away and I felt a little better, I got my laptop and wrote the scene. Five weeks later I had a very long, very messy rough draft of FRONT PAGE FATALITY. And I wasn’t through having fun with Nichelle and her friends, so I started another book. 4. What do you have planned next? I have so much going on this year! It’s been amazing, and keeps getting better. I have a Headlines in High Heels novella coming out in December as part of the anthology HEARTACHE MOTEL with Terri L. Austin and Larissa Reinhart. We had a blast, taking our three series heroines and sending them to a seedy motel in Memphis for Christmas. Then in the spring, the third Headlines in High Heels novel will be out! I’ve just turned SMALL TOWN SPIN in to my editor, and it’ll be on sale everywhere in April 2014. Nichelle is investigating a suspicious death in a teensy town in Tidewater. The local sheriff wants to write it off as a suicide, but Nichelle thinks there’s more to the story. 5. What are your interests besides writing? My family. This year has been a whirlwind of writing and editing and book launches and marketing, so generally, when I’m not in front of my computer, you can find me playing with my kids, cooking, or drinking coffee. Or all three at once if I’m feeling particularly ambitious. 6. If you could visit anywhere, where would it be? This has a two part answer: my favorite place to go on vacation is Walt Disney World, so that’s usually my first response to this. I love everything about the parks and enjoy going there as much or more than my little ones do. We’re headed to Florida in January, as a matter of fact, and I can’t wait! I also love the beach, though, and I’ve always wanted to go to Australia. So if I could go anywhere in the world I wanted to go, just myself and my hubby, I’d choose Australia. With time enough to see the outback, relax on the beach, and snorkel in the reef. I can't think of any questions right now, so I will praise the book. It sounds very fun! I am adding it to my to-read list. Thank you, Elaine! I hope you enjoy it! Enjoyed the review. This sounds like an intriguing book . Looking forward to reading it. Nichelle is an interesting name for a heroine. Is the author a Star Trek fan? I'd love to win a $25 gift card! I love the idea of crooked politics in a murder mystery---perfect for today's world and headlines.